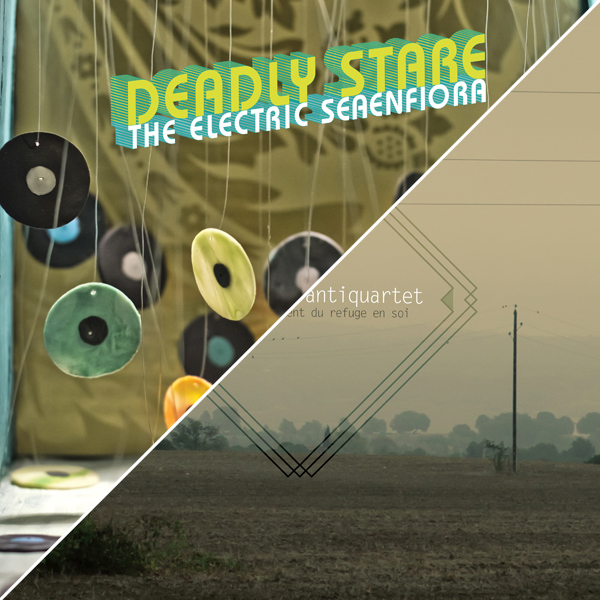 Home › Specials › Deadly Stare & rosemo(u)nt antiquartet – CD Package Deal! Deadly Stare & rosemo(u)nt antiquartet – CD Package Deal! The rosemo(u)nt antiquartet offers a new soundtrack for a film that takes place in silence through the collective unconscious. This project is a foundation on which this fear is dropped. The fear of no longer having a home, to be left only with yourself, restrained to emergency and to start again between the hostile roofs of others. When the time comes, sometimes you must fuguer le cillement du refuge en soi to catch a glimpse of the light. Deadly Stare’s The Electric Seaenfiora is a beautiful and mysterious project from Montreal based producer/composer Scott Da Ros. Every song unfolds like a scene from a hot summer night, finding contemplative and ecstatic moments in the cracks between pure joy and pain. Da Ros masterfully arranges intricate, organic music that hypnotizes; seductive and elusive sounds rising into focus from the lower frequencies as brilliant percussion punctuates the passage of time.